In case you ever tried to purchase bulk globe lights for a party or wedding you know how crazy expensive they can be! Check out this Christmas light hack via "This Journey". A really good detailed instruction is available on Instructables here. Let me first preface this by saying you should be using LED lights since ping pong balls are known to be flammable at high heat. Maybe you could get away with regular lights. I've read other people do but I wouldn't risk it. Read the comments in the Instructables site to see what other people have said about it. You can get a pack of 144 ping pong balls on Amazon Prime right now for $12.57. You can also get a 32 foot, 100 count string of LED lights on Amazon Prime for $5.90. That means you can make your own your own 100 foot length (approximately) of globe lights for $42.84. The cheapest globe lights I've ever seen are $12.99 at Target for a 21 foot length of 25 count globe lights. That's actually pretty amazing too. But that means you will spend $64.95 on lights of a similar length. However, you don't have to DIY anything with those so maybe you might want to go that direction. I'm also guessing that clear globe lights will give off more light than ping pong bulb LED lights. But also keep in mind that with the ping pong balls you'll have 300 lights and with the Target lights you'll have 125 lights. So maybe it all evens out. Anyway, something to keep in mind! 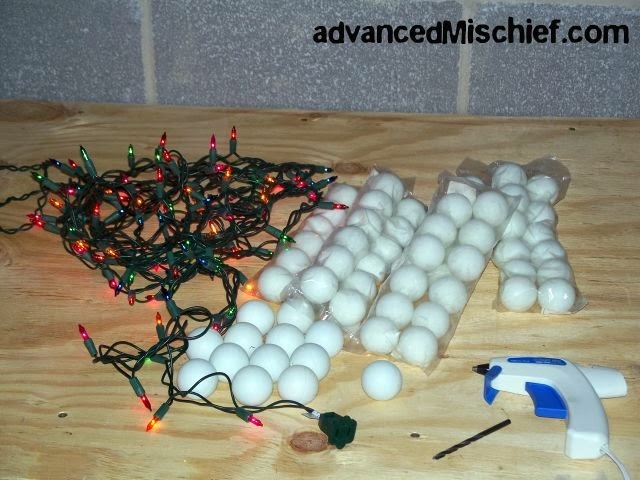 Maybe you already have LED lights that you can do this with so all you'd have to buy is the ping pong balls. I think they'd look great at an outdoor dinner party in the summer strung from one side of the lawn to the other. My yard is about 25 feet across so a 100 foot string could be enough to stretch across four times over. What a great idea! I'm going to give this a try! This it's a a great idea! I'm going to have to five it a try! That is a cute little trick. 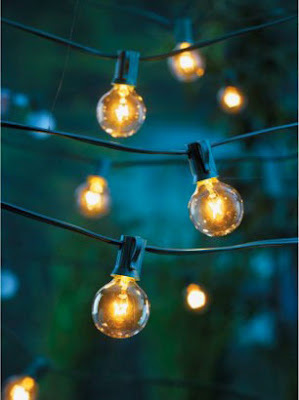 I have these lights in my backyard and it cost a lot more than $65 lol.